Jeffrey Kresky was born 14 May 1948, in Passic, New Jersey. He studied at Columbia Universtiy (B.A.) and Princeton University (Ph.D.). His composition teachers include Otto Luening, Charles Wuorinen a nd Milton Babbitt. For 45 years he was Professor of Music at William Paterson University of New Jersey. 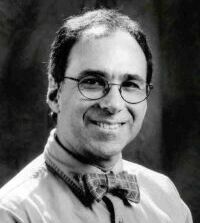 Kresky is the author of Tonal Music:12 Analytic Studies (Indiana); A Reader's Guide to the Chopin Preludes (Greenwood); articles and reviews in Perspectives of New Music, Gettysburg Review, The Music Review, among others. His music is published by Media Press and other outlets.